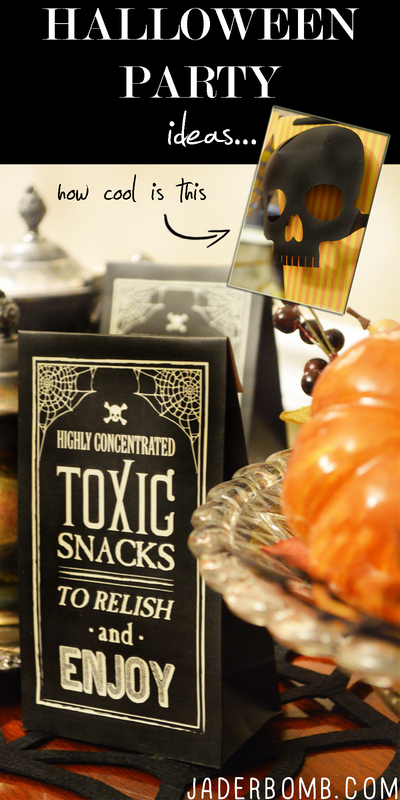 Today it’s all about Halloween Party Ideas, YO! Let me tell you I am full of ideas thank to my BFF Martha! It’s kinda crazy because I started celebrating Halloween (here on the blog) in September and I should start tackling Christmas but I can’t seem to divorce Halloween yet. I enjoy all of the quirky, spooky and mysterious qualities of Halloween. Fact is, I have been thinking of what “theme” I will use this year for my Christmas tree. I ran across this and it has me completely confused. So can I have a Halloween tree, or is that against Santa’s rules? Help me out y’all! Remember this black and white party I threw last year? I would like to go back to that ASAP! It was such a fun party that I had by myself, haha! 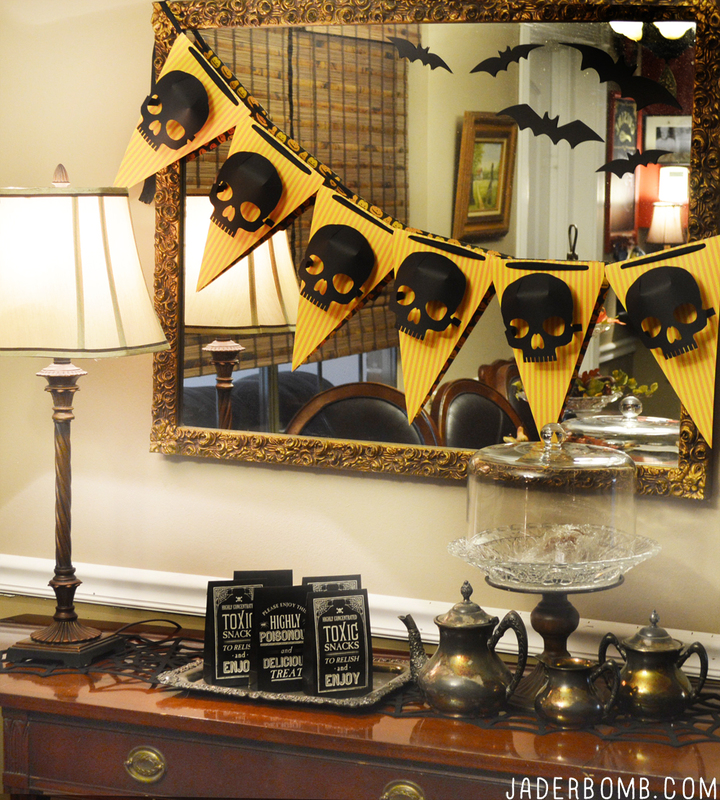 So here are a few snippets of how you can decorate any space for a quick and fun spooky party! 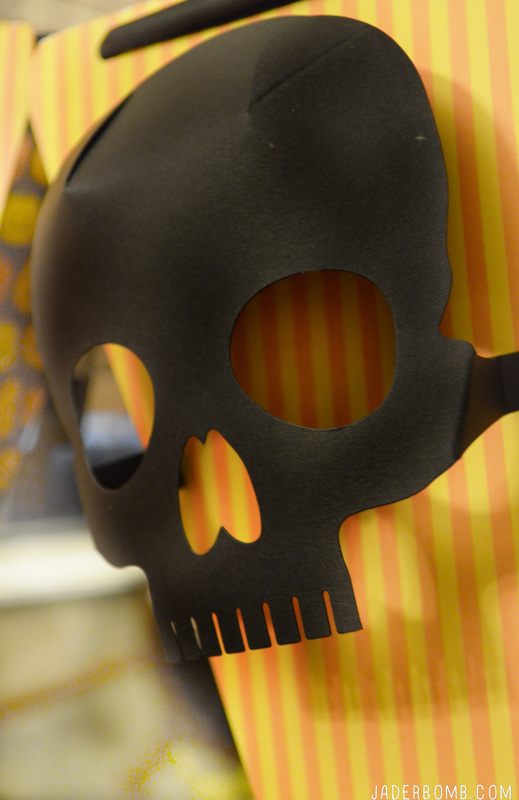 I mean, I almost can’t deal with these 3 dimensional skulls. I love them so much I think if I add a santa hat to them they might just stick around a bit longer. Santa is pretty old right? Not into Halloween too much, that’s ok! 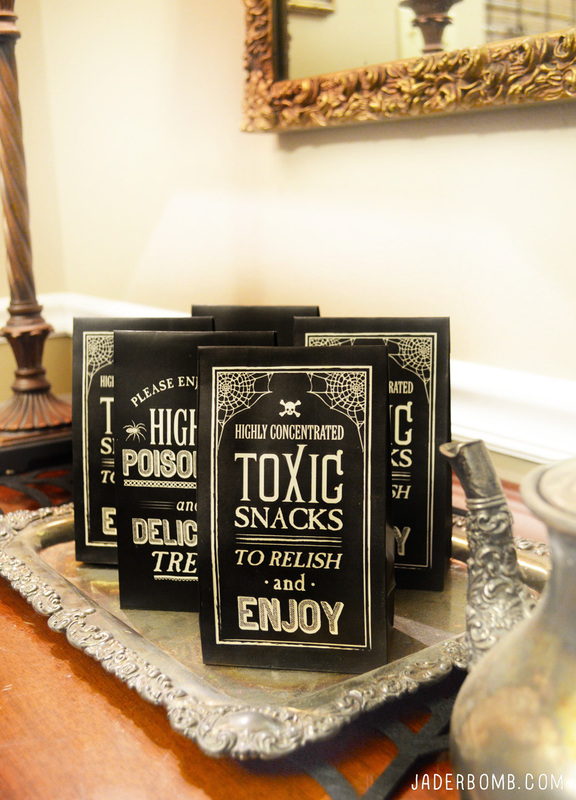 These cute Chalkboard Treat Bags fit right in with a little splash of Fall decor as well. Look closer and you can see this chic spider web table runner. 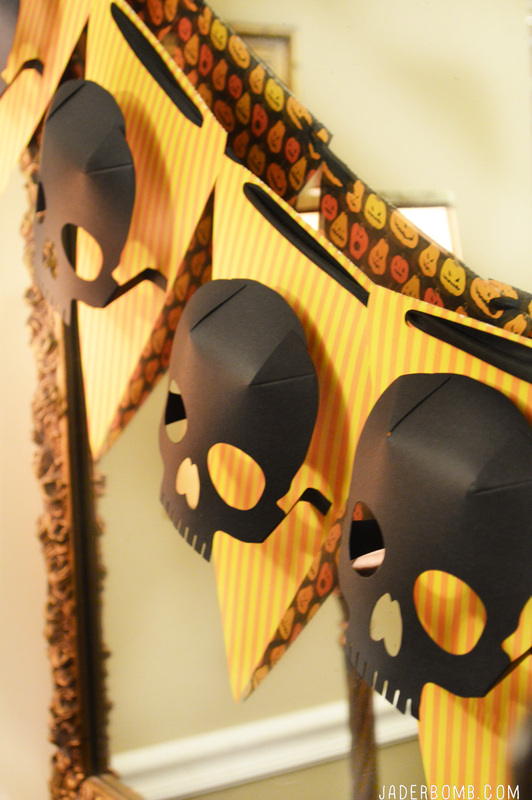 You can make these skull flags for any party in 10 minutes, literally. Check out how I made them at the bottom of this post. After all you can never go wrong with paper flags especially since Martha made it super easy for everyone with her triangle paper pack. Did I mention they already have holes punched in them! This is a “shake your head moment”…. 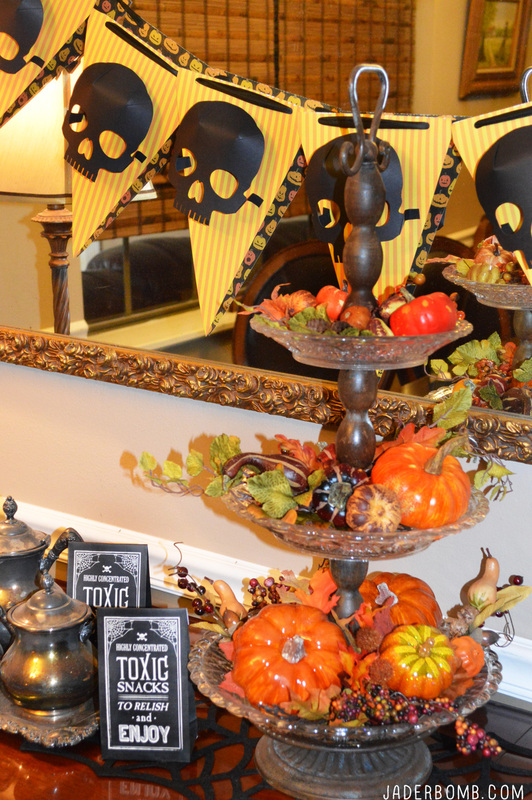 Not into mixing Fall pumpkins with your Halloween decor… No problem! Just add clear glass, a vintage tea set and voila! If you don’t have a tea set you can add tons of clear glass and fill them with spooky little spiders and that will do the job. Did you notice the bats flying like crazy on the mirror! To make the flags you will need this pack of pre cut triangles from Michaels. Hold on y’all….They have different prints on both sides! Wahooo!! Since the holes are already at the top all you have to do is pass string or twine through them then hang up! 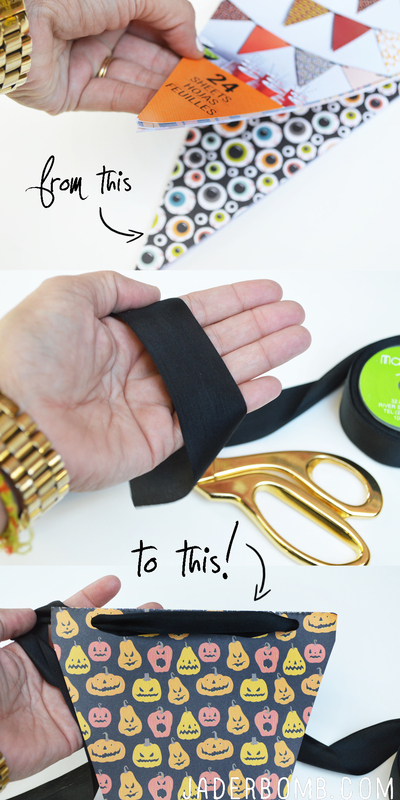 I used black silk ribbon to mine. If you don’t own silk ribbon then you are missing out! It’s heaven. Seriously. Go get some. 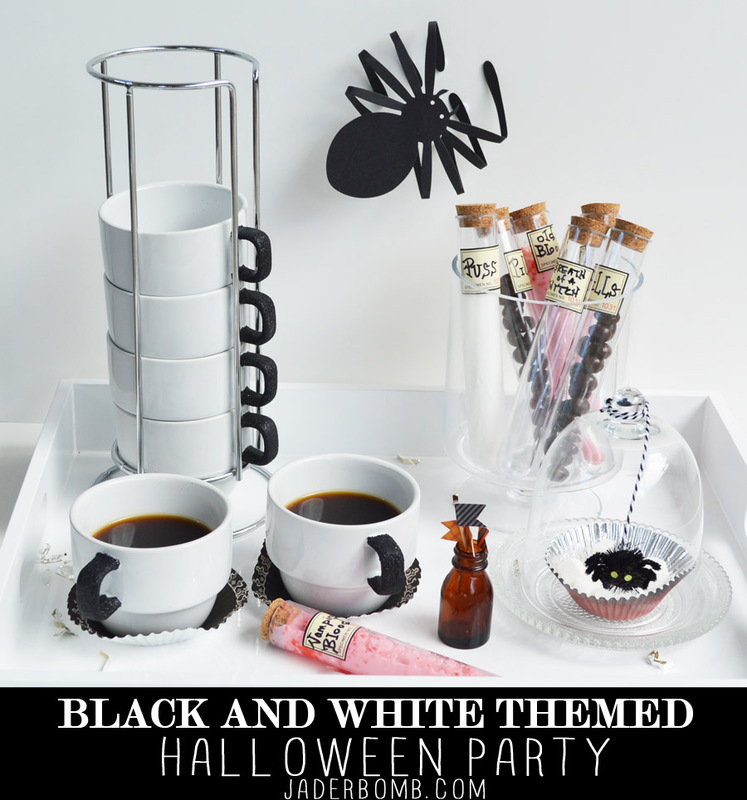 Come check out how you can throw a quirky Alice n Wonderland Halloween themed party here! 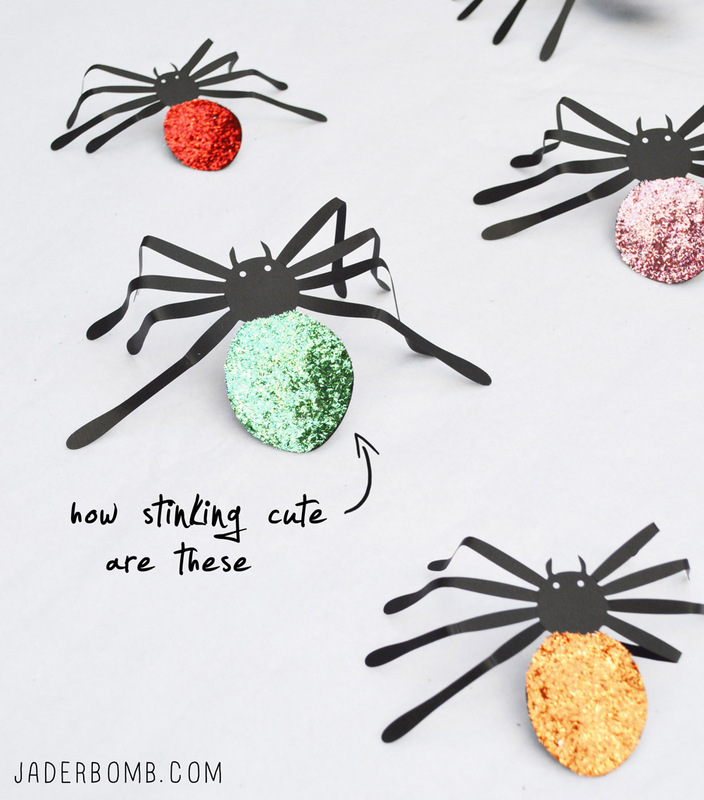 Remember how easy it was to make these glittered spiders! Kids love them. Check out my collection of spooky Halloween projects! Click the links in my post or find all of these Martha Stewart Halloween supplies and more at your local Michaels, or order online! This post is dedicated to my BFF Martha Stewart who personally sends me boxes and boxes of goodies each month and in return I create FABULOUS goodies just for you! 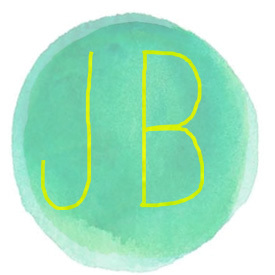 Did you know I was a 12 months of Martha blogger! Check out all of my posts here. All opinions are completely mine… Pinky Promise! Hi there, I believe your website could possibly be having internet browser compatibility issues.